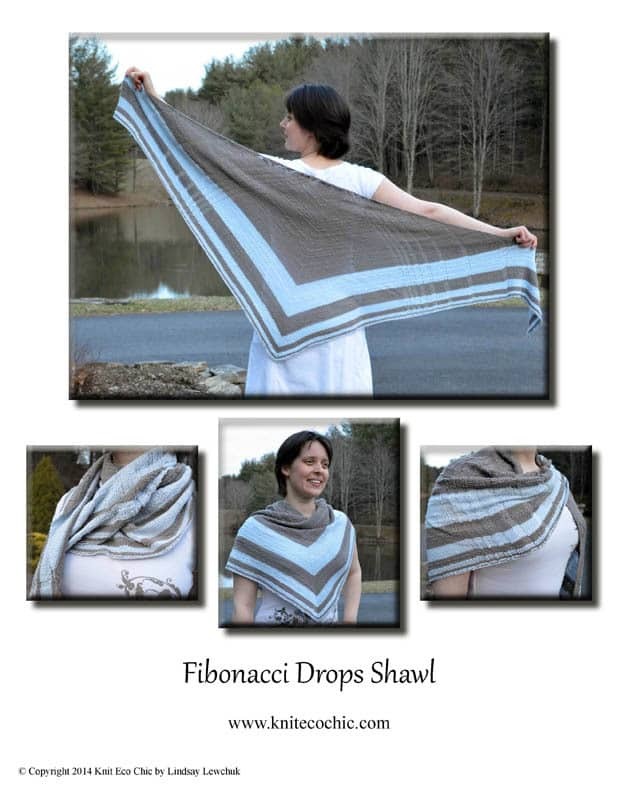 The Fibonacci Drops Shawl, Knit Eco Chic’s debut release, emboldens mathematicians world-wide by squaring the Fibonacci sequence. 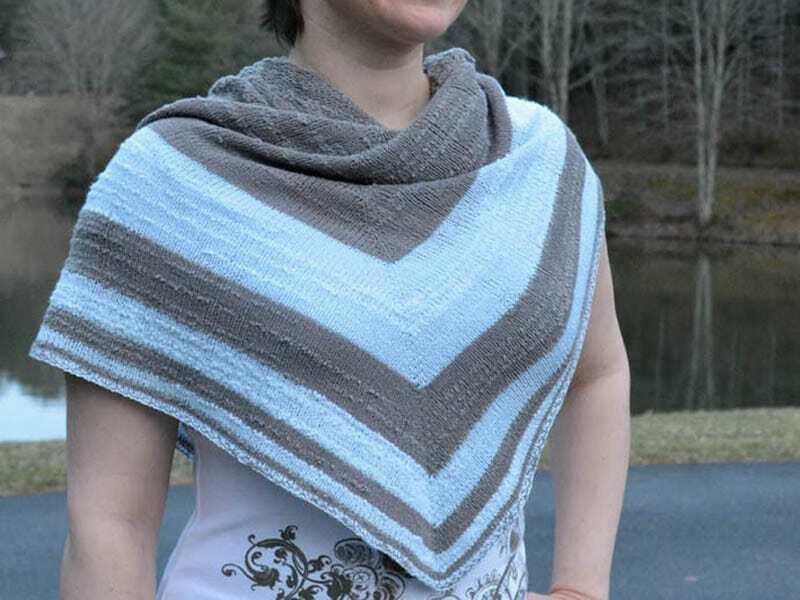 Appearing in both the striped sequence and drop stitch sequence, the Fibonacci sequence brings the innate beauty of the golden ratio to this triangular shawl design. 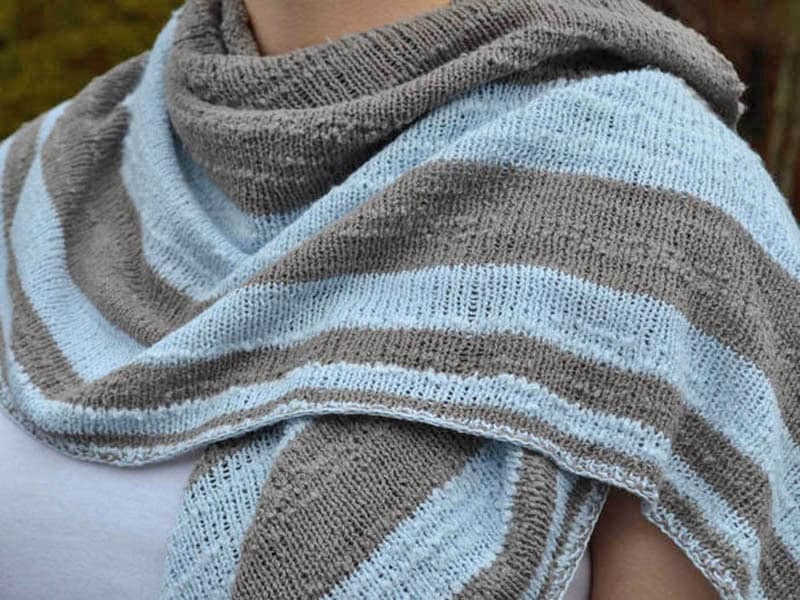 The simplicity of the design makes this versatile shawl the perfect accessory for spring and summer. The pattern includes written directions, diagrams, pictures, a glossary, notes, and a no-drops variation. Tech edited by Sashka Macievich. 72”/ 183cm by 27”/ 68.5cm with the drops. 60”/ 152.5cm by 27”/ 68.5cm without the drops. 26 sts and 44 rows over 4”/ 10cm double stranded using US 3/ 3.25mm needles. 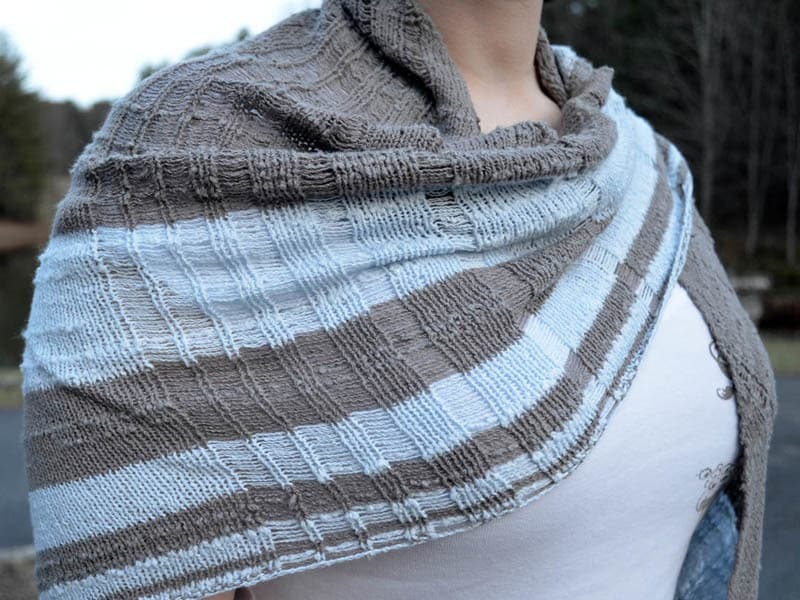 Note: if substituting yarn, consider single stranding if needed in order to match gauge. With the size and optional drops, this design works equally well for men and women. CREATIVITY INSPIRED by my loving heavenly Father.